Why you might not want to donate to Sport Relief (especially if you’re Jewish). 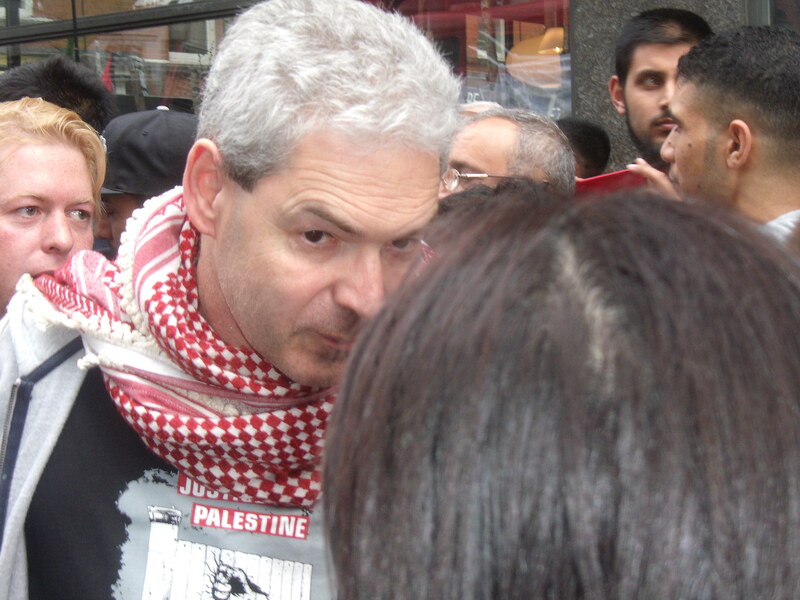 War On Want Executive Director John Hilary at anti-Israel rally in 2014. Today is Sport Relief (brought to us by Comic Relief) with millions of people throughout the country raising money for charity. It is set to dominate the BBC TV tonight. It is a tragic question but one has to ask how much of these funds are used properly? Comic Relief makes grants to certain charities one of which is War On Want whom I have been writing about for many years now and, in particular, its executive director John Hilary. John Hilary’s War On Want has been spending War On Want time and precious resources on targeting one specific country; Israel. You know, the country that also happens to be the only Jewish one. 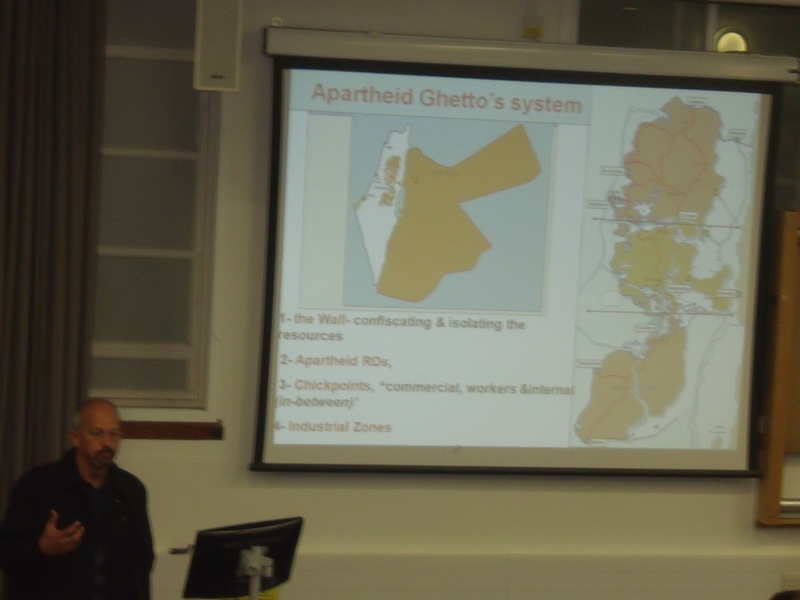 John Hilary’s behaviour has seen War On Want used to invade Sainsbury’s with activists removing Israeli produce from the shelves, produce fake guns so anti-Israel students can parade around campuses pretending to be Israeli soldiers, and sponsor meetings where speakers have suggested, inter alia, that Israel harvests organs from dead Palestinians and that “Palestinians live in apartheid ghettos“. 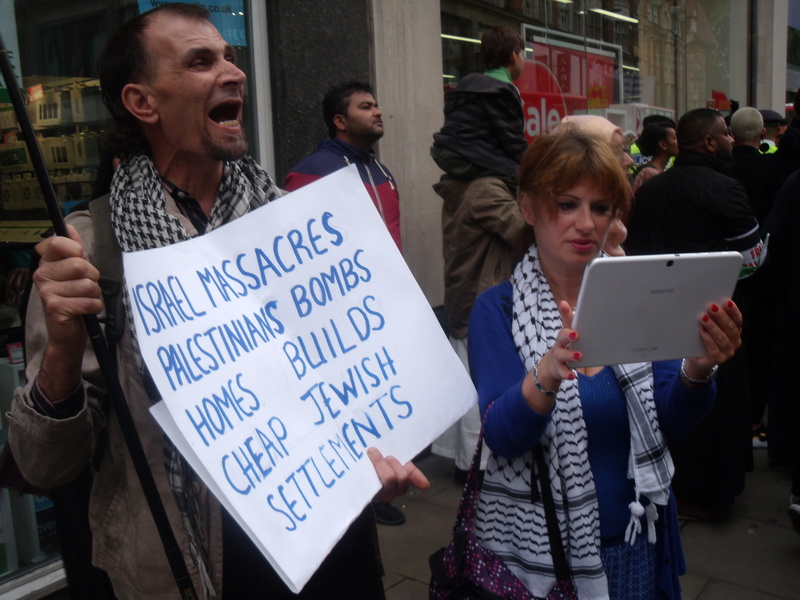 All disgusting lies of course with the sole intent of demonising the Jewish state. 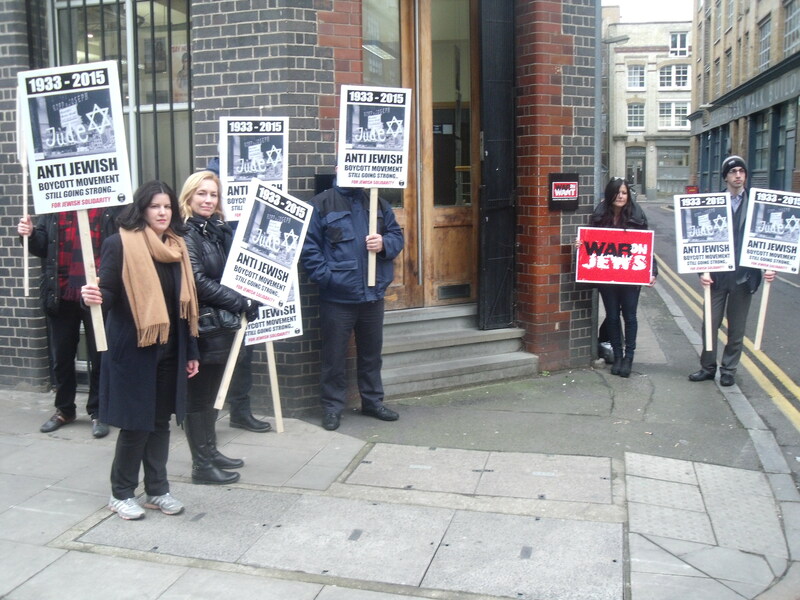 A recent War On Want press release again talks of “Israeli Apartheid”. 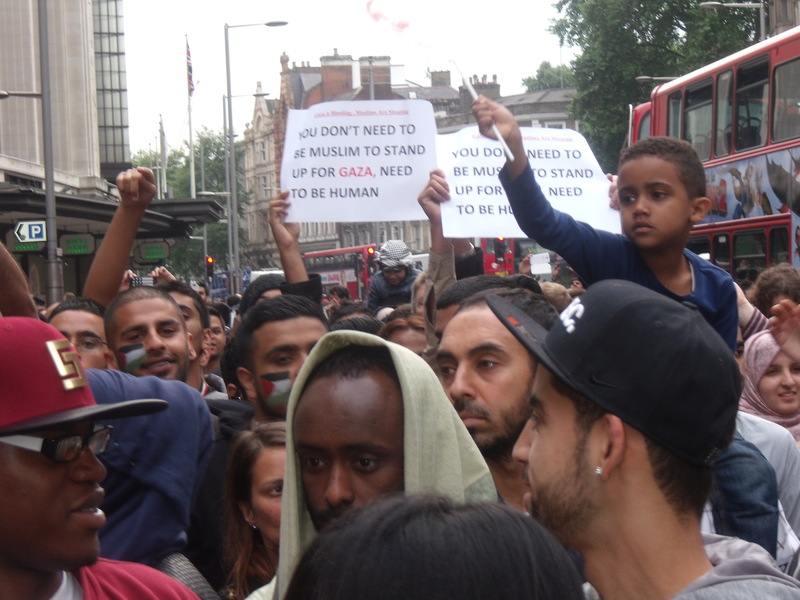 The accusation that Israel practices apartheid is a disgusting lie that only minimises the seriousness of the actual practice of apartheid. 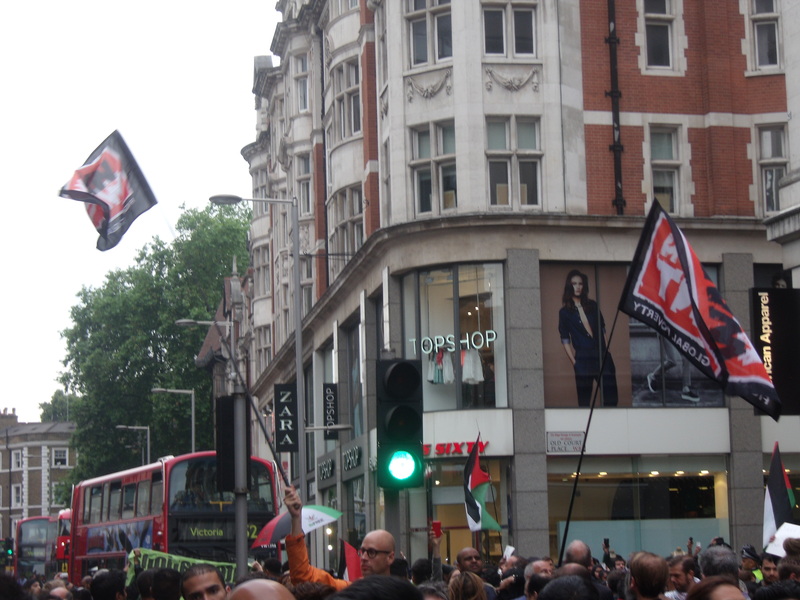 One can also buy clothes on War On Want’s website with horrific anti-Israel slogans on them (see below). 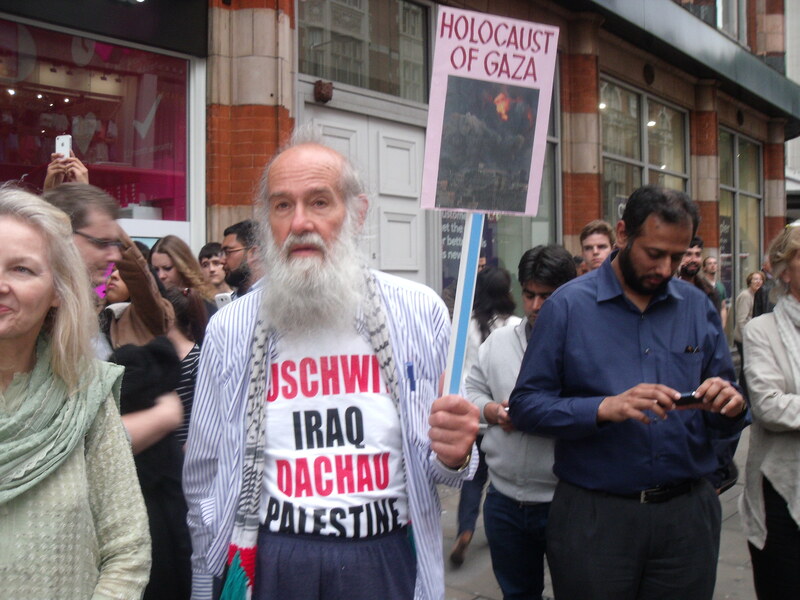 And above you can see keffiyeh wearing John Hilary at an anti-Israel rally in 2014 which even attracted one anti-Israel demonstrator wearing a shirt comparing “Palestine” to the Nazi concentration camps Auschwitz and Dachau (see below). Thank you for your email and for bringing your thoughts to our attention. As part of our commitment to pursuing our vision of a just world free from poverty, Comic Relief provides a number of grants to organisations that work to support slum dwellers and street vendors in some of the world’s most disadvantaged communities, as part of our People Living in Urban Slums programme. This includes grants to three projects run by War on Want – two projects in South Africa and one other in Kenya. 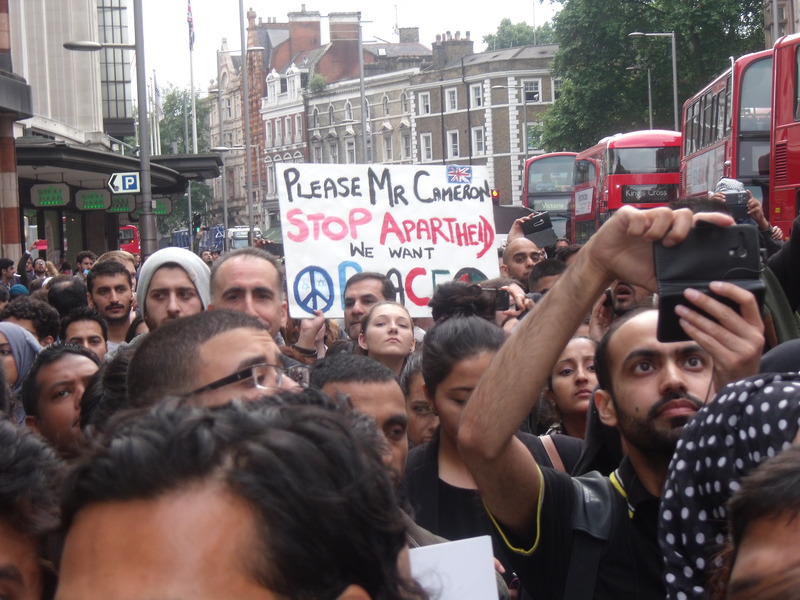 Comic Relief has never made a grant to projects in, or relating to, Palestine or Israel and is not involved with War on Want’s campaigning work in this area. The projects we fund War on Want to carry out help slum dwellers and street vendors to secure lasting improvements in their working and living conditions, avoid exploitation and get their voices heard in local issues such as housing and access to basic services such as water, sanitation and electricity. We closely monitor all our grants to ensure the money is spent to good effect as outlined in the grant application and are reassured that the funds we have given to War on Want have been spent on appropriate project activities. As our grant-making policies state, we do not fund campaigning work that takes a partisan political stance. Comic Relief takes particular care to respect the guidance and regulation set out by the Charity Commission of England and Wales and the Office of the Scottish Charity Regulator around funding political activity and we expect all charities we fund to do likewise. So, thank you once again for bringing your thoughts to our attention, but we are satisfied that the work we are supporting War on Want to do is making a real difference to the lives of slum dwellers and street vendors in Kenya and South Africa. As you can read Comic Relief admits to continuing to fund War On Want and although the funding might not relate directly to anti-Israel political activism Comic Relief’s grant allows War On Want to divert resources that should have been used to help slum-dwellers to projects that demonise Israel instead. 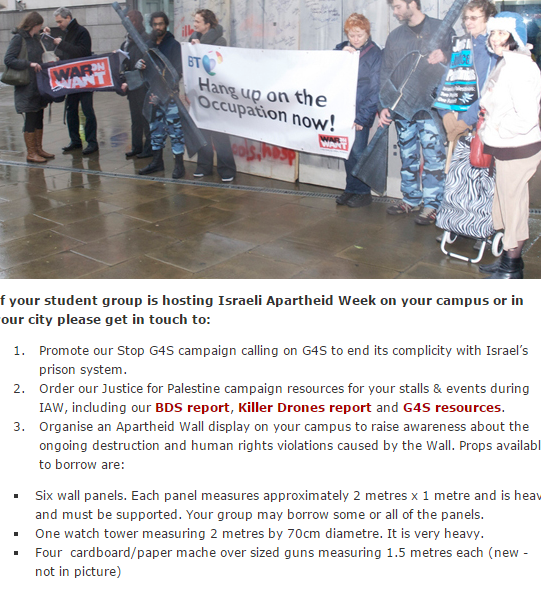 At a time of rising anti-Semitism in the UK it is a shame that Comic Relief/Sport Relief funding is indirectly contributing to War On Want’s continued demonisation of the Jewish state and possible further attacks on British Jews. 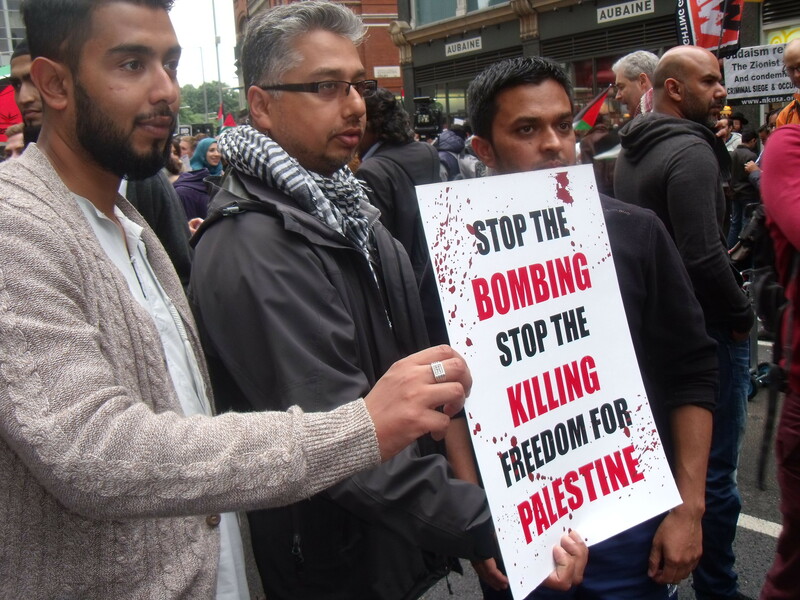 At same anti-Israel rally as War on Want’s Executive Director John Hilary in 2014. Currently available on War On Want’s website. 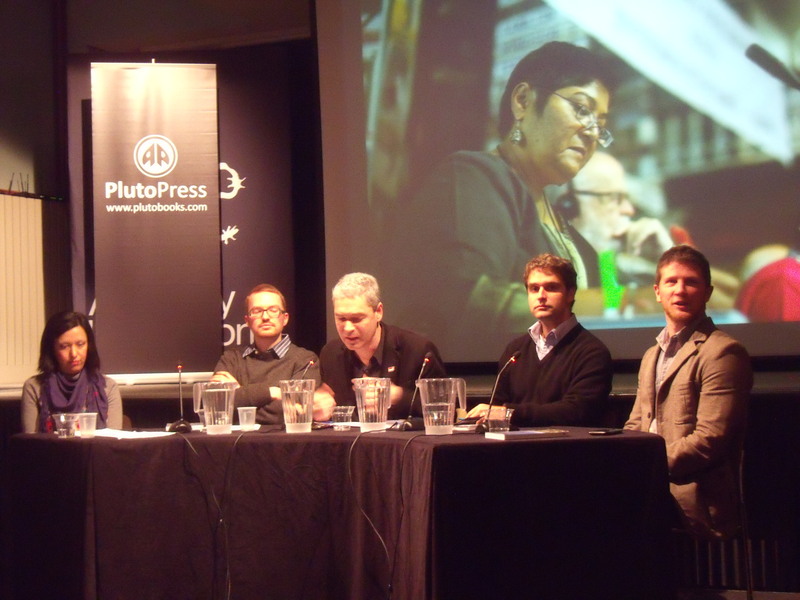 Rafeef Ziadeh, Asa Winstanley, John Hilary, Joseph Dana, Frank Barat at Amnesty. 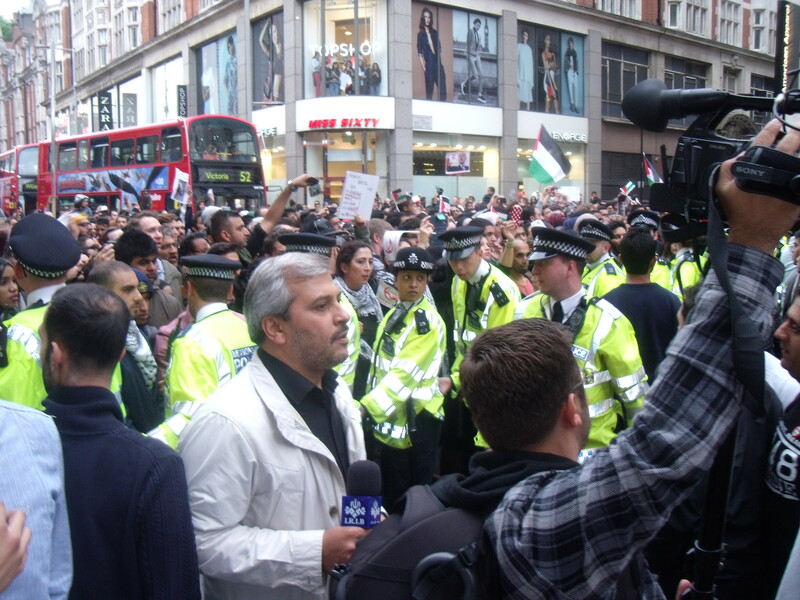 War on Want’s John Hilary spoke of more direct action against firms complicit in Israel’s “breaches of international law”. He was on a panel at Amnesty International on thursday night for the launch of a book about last year’s London session of the Russell Tribunal. In response to a question from Eva Jaciewicz, a member of the Polish Palestine Solidarity Campaign and who last year daubed “Free Gaza and Palestine” at the Warsaw Ghetto, about the possibility of occupying the workplaces of companies doing business with Israel Hilary endorsed the targeting of security company G4S, especially in light of its security role in next year’s London Olympics. 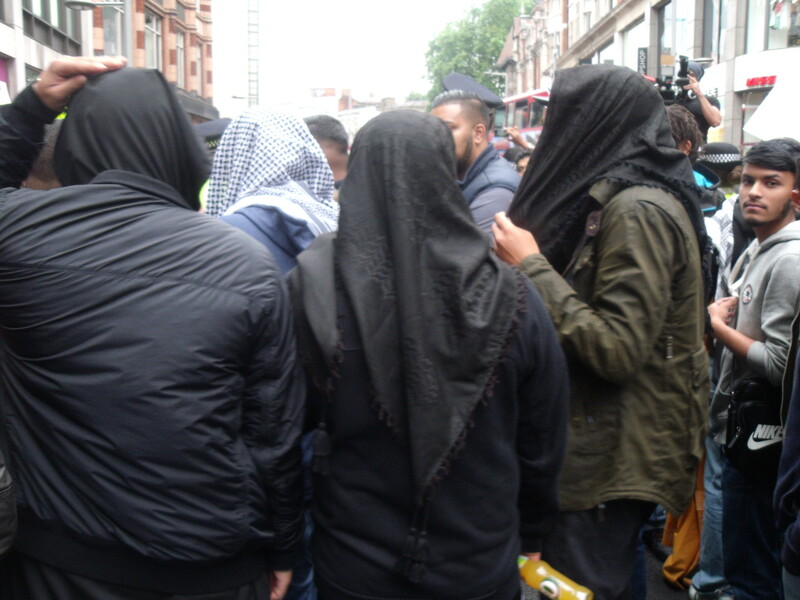 Audio: Barat, Ziadeh, Hilary at Amnesty on G4S. Hilary also spoke about anti-Israel activists going into shoe shops and trying on Caterpillar boots and then staging anti-Israel protests. Staff were unable to ask them to leave while they were wearing the boots. 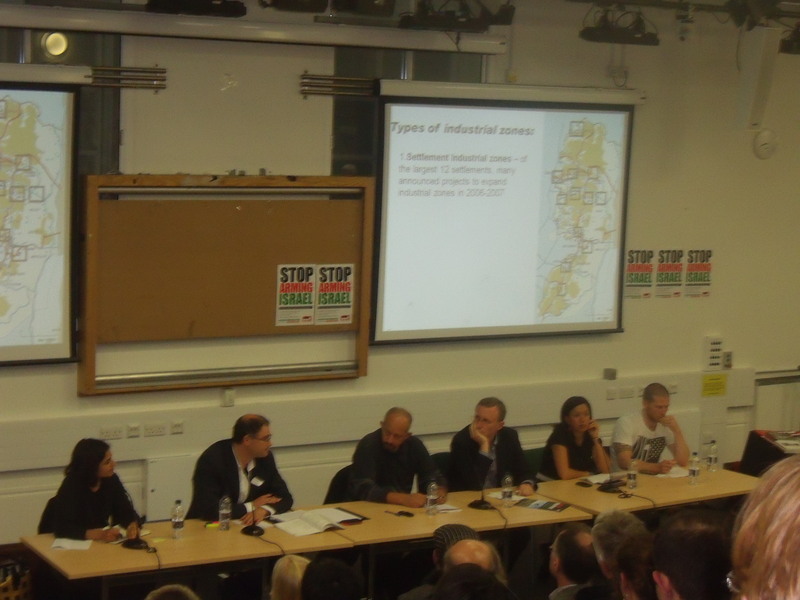 Frank Barat, who coordinated the London RTOP, had initially started off the evening telling us how clearly international law is on the side of the Palestinians and how little Israel can do about this. He said the word “Apartheid” scared Israel and its supporters, especially when people like Desmond Tutu are saying what is happening on the West Bank is far worse than what happened in apartheid South Africa. 1. 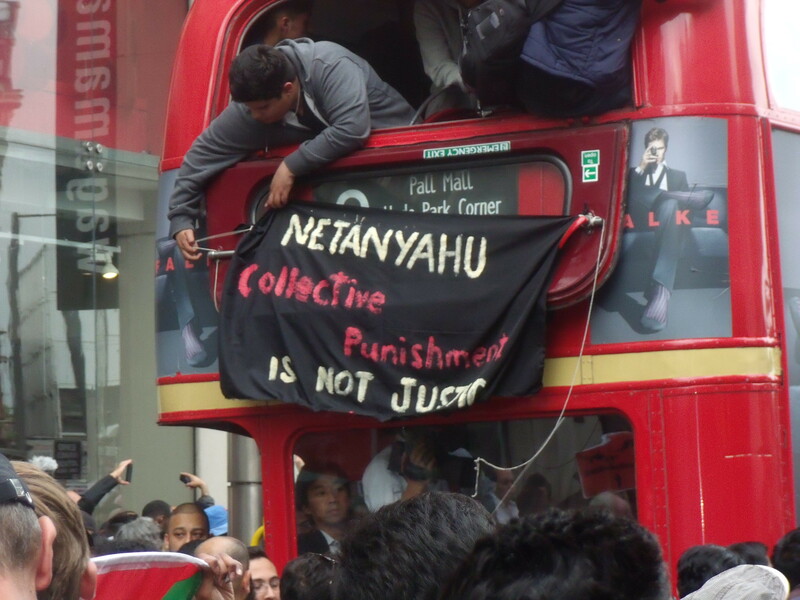 Israel to dismantle its system of Apartheid. 2. All states to consider putting pressure on Israel to do this including severing diplomatic relations. 3. The prosecutor of the ICC to accept jurisdiction over Palestine. 4. Global civil society to replicate the spirit of solidarity that contributed to the end of apartheid South Africa and to support BDS. 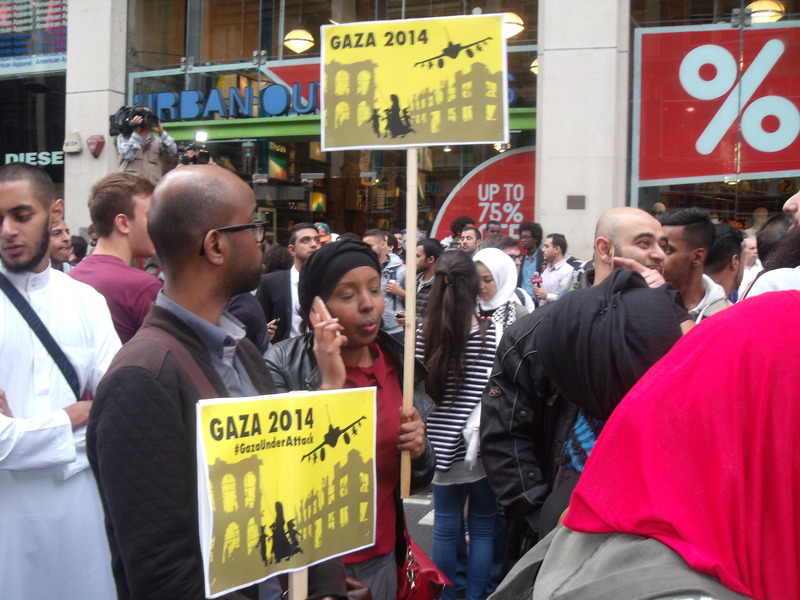 There were only 43 people in the audience at Amnesty; not a good sign of global solidarity. 1. 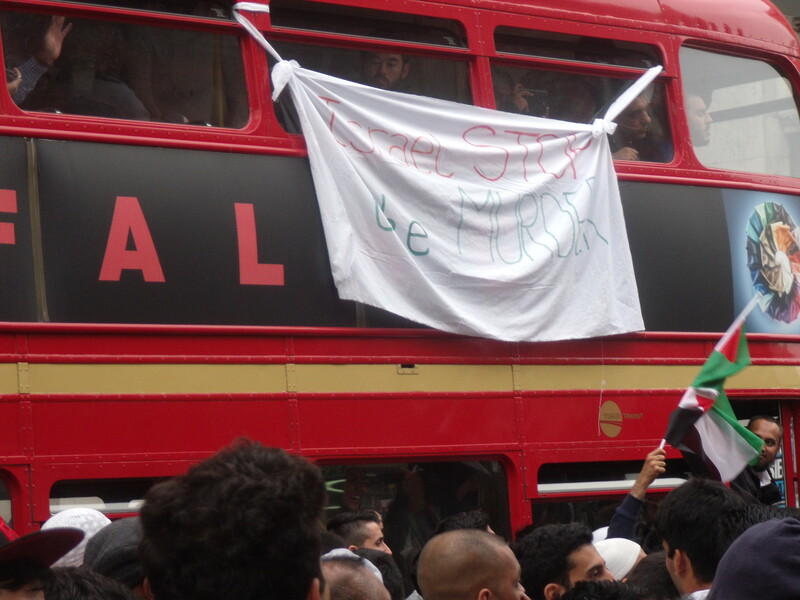 End the occupation of all Arab lands. 2. Create equality for Palestinians everywhere, including in Israel. 3. 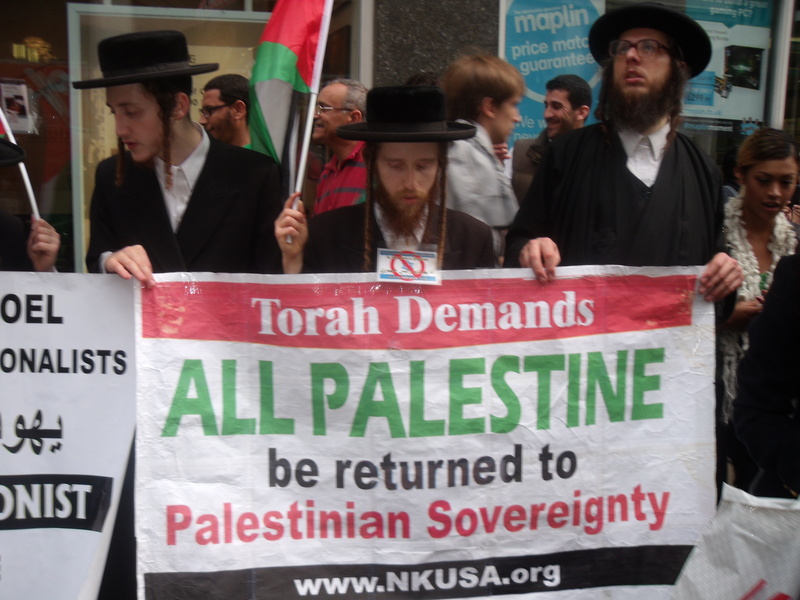 Allow Palestinian “refugees” to return to their homes in Israel. She said she couldn’t believe that Israel could consider someone like her to be such a threat. 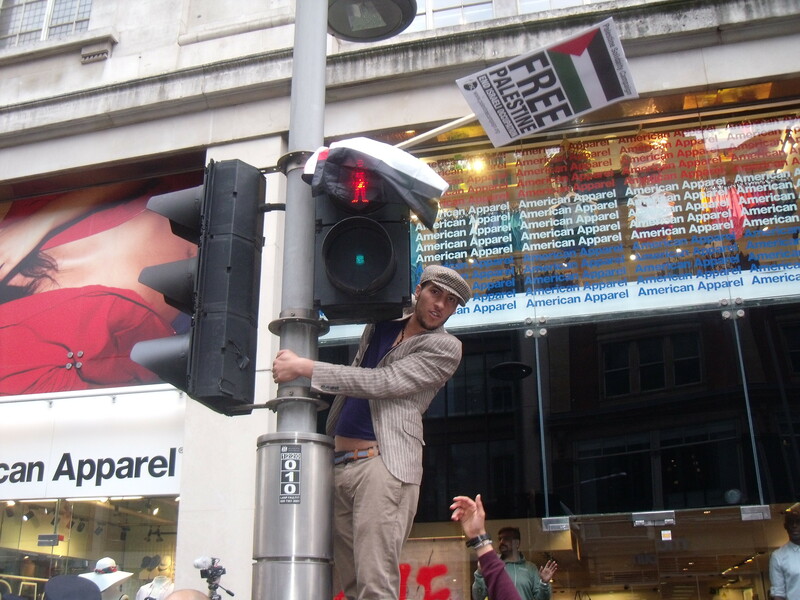 Joseph Dana, an American Jewish blogger with +972 Magazine and living in Ramallah, referred to the Palestinians in Bil’in, where he covers the weekly protests, as offering “Ghandian-like unarmed resistance” and he encouraged the use of Twitter and Facebook to combat the Jerusalem Post, Associated Press and Thomas Friedman, who is calling for the Palestinians to adopt non-violent resistance while, according to Dana, he is ignoring just that. If that’s true then Dana, who lives in Ramallah, is indirectly accountable for the massacre of five members of the Fogel family by a Palestinian, including three month old Hadas who was decapitated while she slept. Warning; if you give to BBC’s Comic Relief, please turn away now as you may find the following disturbing. War on Want is a registered charity that claims it’s in the front line in the struggle against global poverty and injustice. 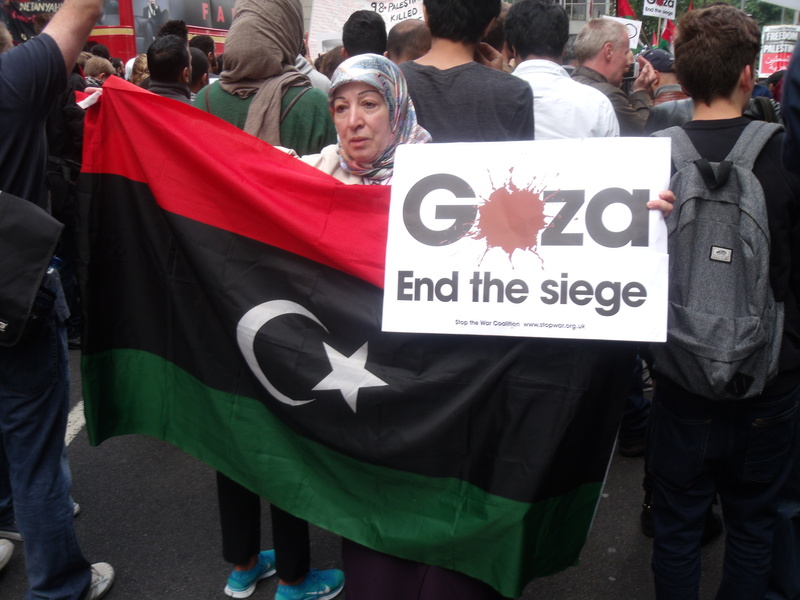 It has seven main campaigns one of which is the “humanitarian crisis in Palestine”. But WOW’s description of the Israeli-Palestinian conflict has the most biased spin possible. 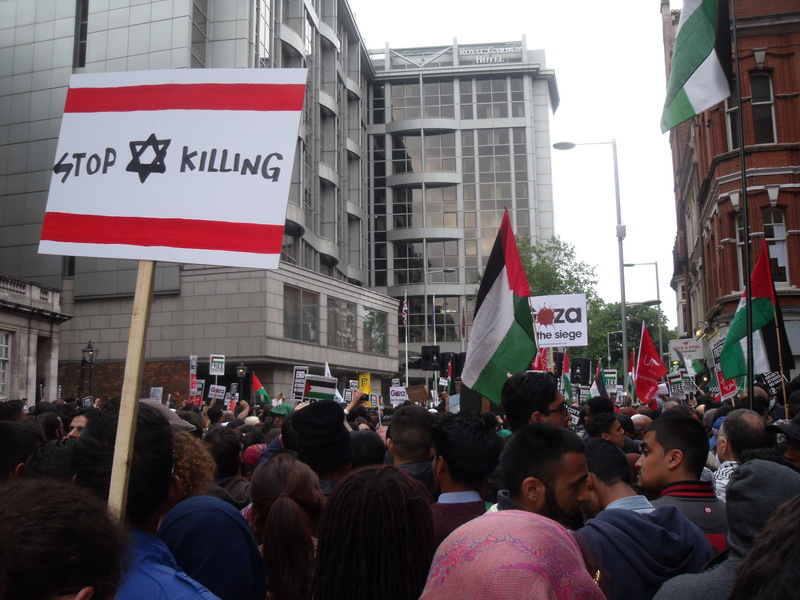 There is not a single mention of Palestinian acts that have left thousands of innocent Israeli civilians dead and disabled. War on Want’s Supermarket Action – to stop the sale of settlement goods. When? 6pm sharp! Where? 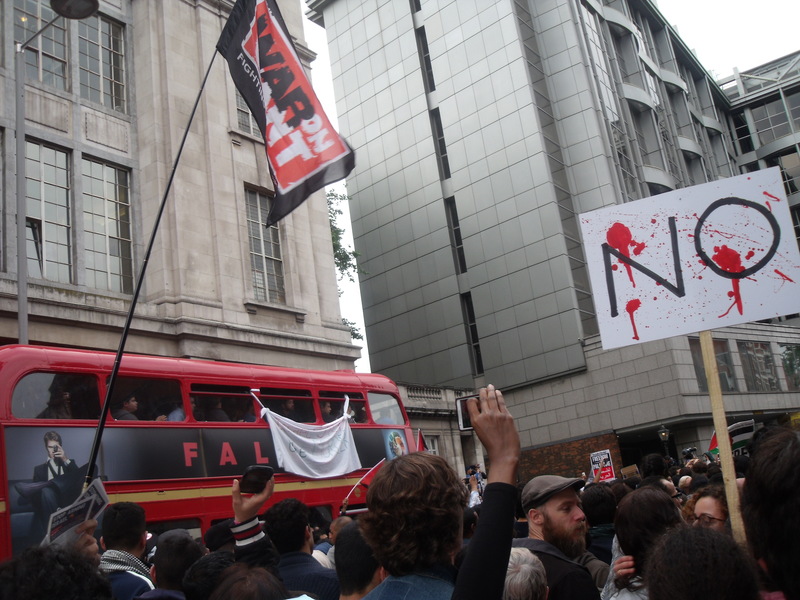 Meet at War on Want’s offices for a full briefing. Then head to a nearby supermarket. 56-64 Leonard Street, London EC2A 4LT. Nearest tube Old Street. When I arrived at the building I was directed up to War on Want’s fourth floor offices where another briefing was about to start for those who had missed the first. About 30 of us heard how we were going to be divided up into four groups. 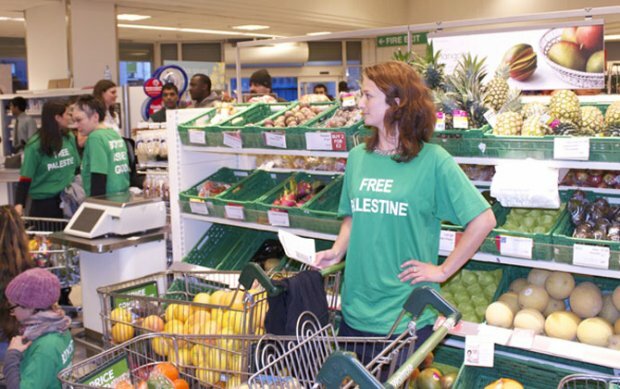 Some of us were to distribute anti-Israel leaflets outside the Barbican’s Waitrose while the others would actually go in and drop the Israeli produce into trolleys and bring the full trolleys to customer services where there would then be a sit-down protest. 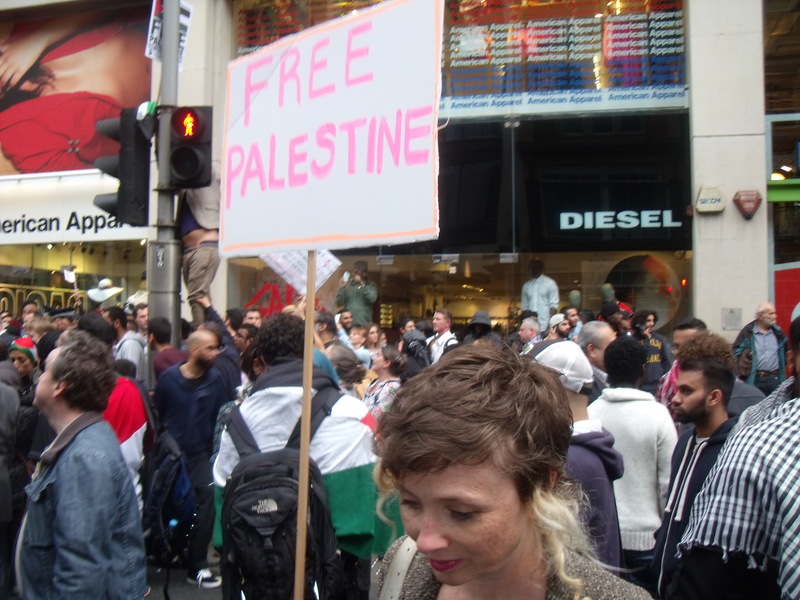 Under our coats we would wear the green “Free Palestine” T-shirts handed out to us in the office. “We are not expecting any kind of aggression towards us but there is always that possibility. If the police do show up we will leave automatically. 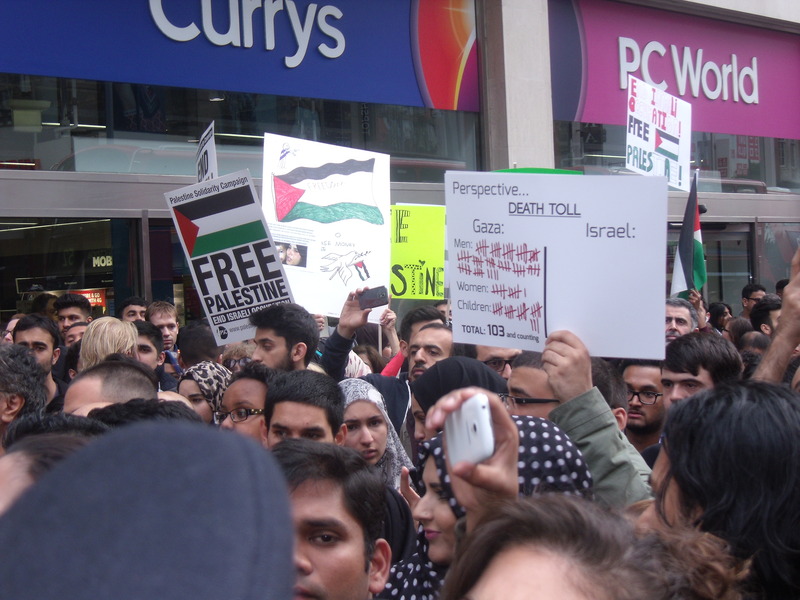 We will stand up in an orderly fashion and walk out chanting ‘Free Free Palestine’ and we will continue the demonstration outside,” we were told. We were also introduced to a cameraman and a photographer. 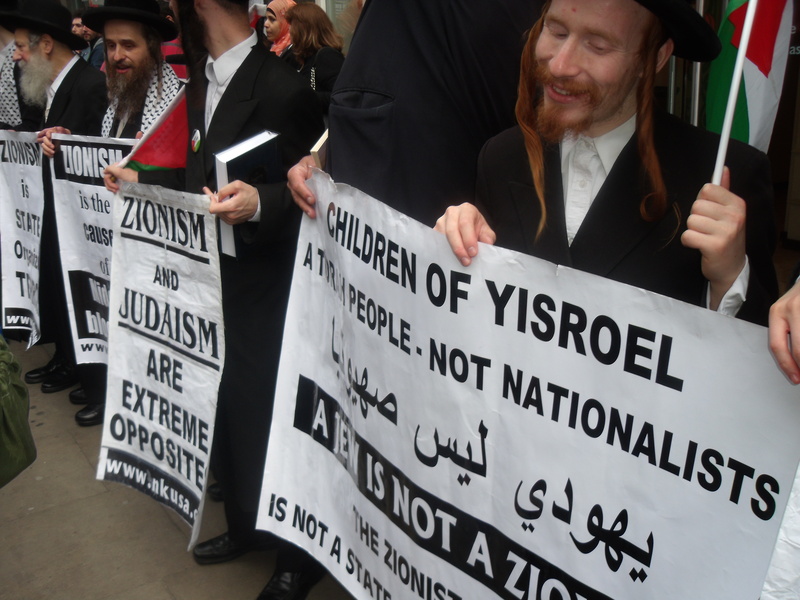 But by then fingers were pointing and I was outed as a “Zionist”. “Who are you from? Why have you come to this place, it wasn’t an open invitation. Just tell me who you are. Who are you?” he kept on while in hot pursuit. I immediately went to the Waitrose store and told the manager of the imminent invasion. 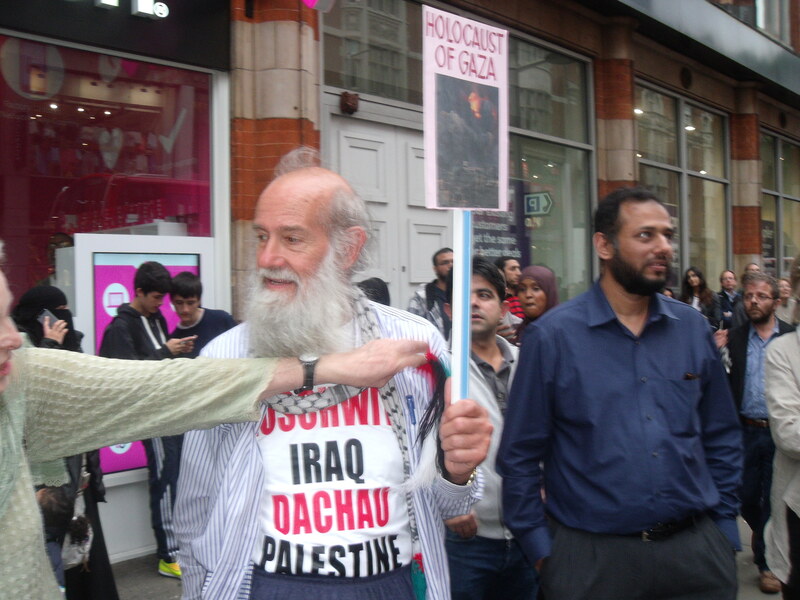 He was grateful but eventually unable to distinguish protesters from normal shoppers. In the youtube video* of the invasion below John Hilary gives a speech and then presents the manager of Waitrose with a letter having been told that the police had been called. WOW receives funding from the European Commission and the Department of International Development but in the last six years it has also received £1,687,918 from Comic Relief. It is of no public concern what private donors give directly to a charity, as many do to War on Want, but it is of great concern when publicly donated funds, that people hope are going to help sick and starving children, are going to a charity that embraces immature supermarket games. How much of Comic Relief’s money might be helping to finance the aforementioned T-shirts, office space, cameramen and photographers? Are such student pranks really be an allowable objective for a charity like War on Want? And why can valuable Metropolitan Police time be wasted so unnecessarily by a charity? We have had the bankers and the politicians, maybe it’s about time the behaviour of our charities is also questioned and investigated. 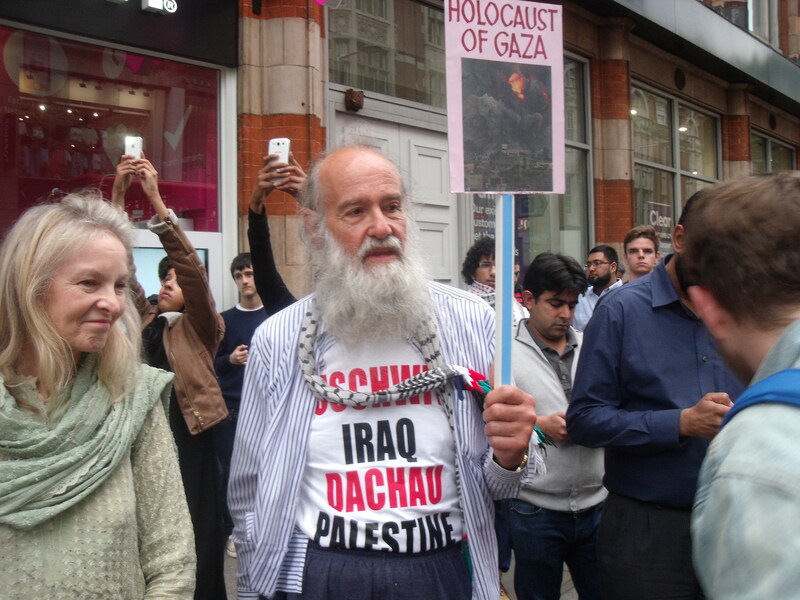 ShaktipatSeer: Stick it to those fascist﻿ jews!! AetherWisp: Did that include all the food we pay a Jewish﻿ tax on? The clip is also on the War on Want website.